Screws are obviously an incredibly important part of cabinet and furniture construction, and over the years they have continued to change dramatically. 50 years ago, the slotted screw used to be the most popular screw in cabinet construction. These screws required a pre-drilled hole and the use of a flat-head, hand-held screw driver. Needless to say, most woodworker’s were happy to see newer screws hit the market. Now, more efficient screws have replaced their slotted predeccessors, and this guide will walk you through three of the most popular types! 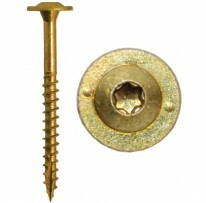 The first real positive change to a screw came when the Phillips head screw and driver were released. The Phillips head quickly became the most popular recess design for professional woodworkers, and remains very popular despite many new options being introduced! With the development of the Phillips head, cabinet builders could work far more efficiently because Phillips screws made it possible to use power tools without slip-out, spin-out or camm-out, which essentially means you mess up or hurt yourself. All in all, the Phillips recess proved to be a great improvement over the slotted head. Even though the Phillips head made it’s name as an incredibly popular recess, some woodworker’s now consider it a thing of the past, replacing the Phillips head screws in their kits with square drive screws and drivers. Square drive screws have become very popular in cabinet and furniture shops because of their woodworking advantages. For example, when working with square head screws, it is rare for the driver bit to slip out of the recess and damage your work piece. If you do spin-out, it’s probably because your square head driver is worn out or the screws were poorly manufactured. When square drive screws are manufactured with a precision recess, it will rarely ever fall of the driver bit, even when you maneuver the drill to set the screw. Additionally, square drive screws allow you to apply plenty of torque, which helps pull your cabinet or furniture parts together for a nice, tight fit. 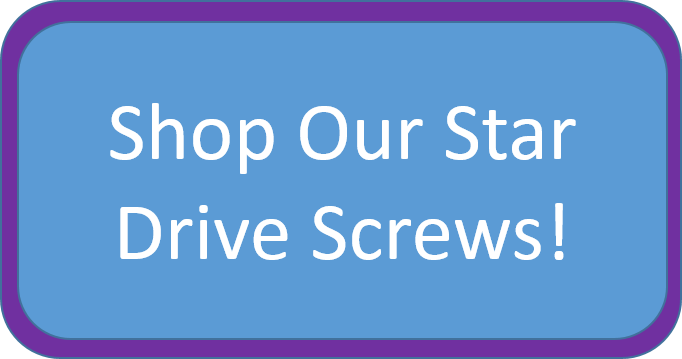 If you’re a fan of the square drive screw, then you’ll definitely need to give star drive screws a go as well. The star drive recess goes a step above the square drive as you can see in the picture above. The nuances of the star shape provides incredible holding power between the star driver bit and the star recess in the screw. This allows you to apply even more torque than you could with a square drive, without experiencing a cam-out a or spin-out of the driver tip. Although star drives are very useful in your average woodworking shop, they’re also strong enough to be used in outdoor construction. Like mentioned earlier, many woodworkers are starting to move away from Phillips drive screws, replacing them with square and star drives because of their improved capabilities. Square drive screws, which are becoming the most popular, have quite a large selection to choose from and are less expensive than the star drive. However, the poularity of star drive screws is growing rapidly and now they can now be found almost everywhere. 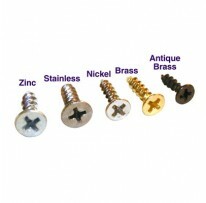 All in all, we at Gadsden Hardware would highly recommend testing out star drive screws if you haven’t already. 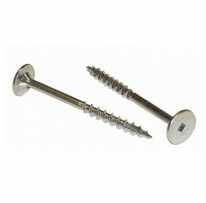 You may pay more, but you’ll find them to be the ultimate screw design for woodworking.